An often overlooked aspect of historical fencing is how to go about turning all the information contained in a fencing text into a structured means of teaching and learning. At first it seems as if this would be pretty obvious- do what the text tells you and mimic what you see in the pictures. However this can often lead to incomplete understanding and poorly honed skills with a lack of the fundamentals. What if you want something more? This is where you need to develop your analytical skills and read between the lines in a text or treatise in order to gain a deeper understanding of what is required to improve your fencing and then turn this understanding into an explicit curriculum for study. Why is a curriculum needed? A defined curriculum is a useful framework for study for many reasons but for me the main reasons are safety and respect. Safety should always be your primary concern in all matters of fencing. Just as a mask provides safety for your face, so too a curriculum provides safety for your body by providing simple developmental steps which allow you to work at a pace that will tax you but not exert you, thus limiting the chances for injury. Most treatises, especially of the later era, are set out in the order in which skills and aspects are to be learned for a reason. 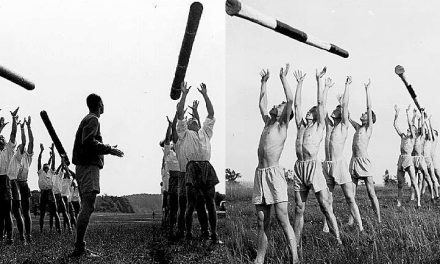 They are blocks which need to be laid in sequence, having established a foundation of general fencing knowledge, in order to stay upright and in place and so it is the same for developing an effective curriculum; laying blocks of knowledge, ability and understanding in the correct order to create a firm footing and by doing so being able to climb further, safely. Respect may seem a curious concept to promote but it is important, in this case means both respect to the text and respect to the art. By creating a structure you actually study the text and learn its subtleties and complexities. Good historical fencers return repeatedly to the text frequently, even if they can quote it verbatim in order to keep themselves true to its content and intent, often discovering new things or revising things that they thought they understood previously but have since proven to be inaccurate. Respect also applies to the art of fencing in general, mainly respecting its lethal capacity- after all it is easy with bendy foils and masks to forget that this is a killing art designed to harm others in as a ruthlessly efficient a manner as possible. Creating a curriculum will keep you mindful of the true intent of this activity and, while it is extremely unlikely you will end up defending your life with a sword, it will maintain an inherent trust that you will never use these skills in anger or to harm others intentionally. A curriculum also gives a sense of professionalism both with the group and to those outside the group. While there are an increasing number of historical fencers able to make some sort of living from their fencing most practitioners are amateurs in the sense of charging little or no money for their services and knowledge through their school. This is even more apparent in a society where everybody is likely to be a peer in knowledge terms, collaborating with each other in order to learn. But while the financial matters and opportunities may be amateur there is no reason for the learning style to be such. 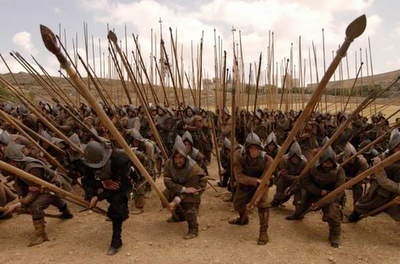 A curriculum demonstrates that effort has been expended on the subject matter and shows students that the teacher (no matter whether they are a qualified instructor or “first-among-equals” facilitator) is serious about what they are doing, rather than running a social group with swords. This is also an important message to those outside the historic fencing world, who may wonder how one can study and learn martial arts from a book, to show them your seriousness and dedication to the endeavour. 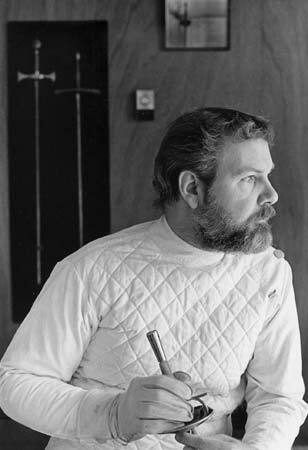 Assessment is often seen as a dirty word in historic fencing world, since it is often disputed that we can never truly do or know what the people of the past who used these skills to actually save their lives knew or did. However this does not necessarily mean formal assessment but rather assessment of oneself and one’s ability. By having a curriculum one knows not only what needs to be learned, but what one has already learned. It can be used as a revision tool to cover and maintain the basics while developing more advanced aspects of the art. If one is teaching others it is essential so that the necessary “ground-up” development is in place rather than dotting around handing over a mish-mash of ideas with no sense of progression which can lead to confusion and despondency among the students. It also makes lesson planning easier, as a curriculum will give you the linear progression of topics which will then automatically lead to suggestions for lessons, which will then naturally lead to exercise and practice drills. It is the aim of the remainder of this chapter to cover this process. In a mixed ability class, it also allows a student to be aware of their progress and allows a teacher to know easily which student knows what and how well and can adapt the teaching levels accordingly. Even the briefest treatise contains a wealth of information that needs to be teased out into strands which are then further combed into threads which can be given to the student in an easily managed form for them to weave back together such that they embody the information and express it through their fencing ability. But how to obtain these threads and strands? The following is an explanation of my method, you may have others, but this works for me and I find that it is effective enough to work on most, if not all, treatises and texts no matter what the period it comes from. Translation is not always a part of the process, either because the text is already in a language you are familiar with or you are working from a trusted source of translation. It is a stage fraught with worries, perils and potential for error and is worthy of a study in itself. I include it here only out of completeness for the model and because it is a stage that is commonly gone through by teachers at some point. These are the broad-brush areas that the treatise covers. In earlier texts these are notoriously brief and assumptive of foundation skills since their main concern is to provide extra skills and abilities to students already highly conversant with fencing. 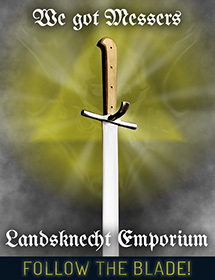 The nearer to the present day one gets the more comprehensive and less assumptive the texts get making this process easier as there is a natural development from the very basics of standing and how to hold the sword right up to the most complex of techniques. This gives a neat set of categories that need to be covered in order to impart all of the information. This information is then imparted in the lesson. The lesson is the point where knowledge is transmitted in pieces that can be easily digested in the time available and thus it is where your discretion must come into play as to how big the “chunks” of each topic are. This is almost irrelevant though it may be worth explaining how the swords you provide are put together, naming the individual parts and how to care for them but this will only take a few moments. Girard’s rules are comprehensive and a good foundation for any salle to work from. Make these rules explicit to students, what you choose, and enforce them as they are the best means by which accidents are reduced and safety is maintained. Instilling and reinforcing discipline is hard and unpleasant, especially if you are learning as peers with no one particular person in charge, but it is essential if you are to progress as safety and progress is defined by group boundaries, the most explicit of which are the salle rules. Introduce the basic stance to the student. Explaining its purpose, how to practice it and getting them to practice it in the lesson until it is as good as it can be. Do not be too critical initially. The guard is awkward and uncomfortable to all but there are certain basics that can be reinforced, mainly reinforcing the grosser aspects of the guard (hand positions, knee bend and carrying weight over the rear leg) as being enough to get on with for now. As time goes by the guard can be finessed and polished until it is perfect. For a first lesson this may be glossed over as information imparted as a footnote to learning the basic guard shown above. It may be that this topic is revisited in future and becomes the basis for an entire lesson, a separate seminar, or series of lessons in itself, using the method shown later. This is where your judgement as to suitability and applicability of a topic for teaching is essential. The salute is often overlooked in many historic fencing salles, dismissed as being unnecessarily fancy, irrelevant to being able to use a sword in real combat or a personal affront to one’s individuality by showing deference to another. However the salute has two major functions which should not be overlooked and require its inclusion in a class. The first is that it creates a definite beginning and end to an activity. By saluting at the beginning of a class everyone present is aware of what is expected of them, that the outside and everyday world is to be set aside in order to concentrate fully on fencing, and the opposite at the end other class, letting people know that they are free to leave. Secondly is safety. This is implicit in the first reason as students will be “switched on” and being careful, but becomes explicit when students are actually pointing swords at each other and trying to hit each other in exercises. By saluting at the beginning and end of each exercises, and shaking hands at the end, as is the custom in most salles, they are aware that no malice is meant and that they are peers under arms both helping the other in learning how to defend themselves by taking on a role as aggressor but not actually being aggressive themself. Finally some sword use! It may even be that you don’t even get this far in the first lesson, again this is down your judgement as a teacher of the particular circumstance in long term class setting has different pacing from a one-off seminar, for example. I have a motto for when I teach a prepared lesson: Be prepared to teach half of what you have planned, and have an extra half spare, just in case. It can be that students grasp a difficult concept easily and whizz through a planned lesson leaving you with too much time and not enough content, or fail to grasp what seems to you to be the simplest of actions and you never get to what you had planned to concentrate on in that class. Don’t fret! You have plenty of time and it is all part of the skill of teaching to manage the pacing. This is not the place to discuss lesson frequency, length and so on but suffice to say my preferred lesson is 90 minutes long, twice a week and composed of roughly equal thirds of warm-up and footwork, lesson, and practice or free-play. This is manageable for most people with busy lives who can attend one or both classes with a degree of regularity, unlike the days of the not-too-distant past where daily practice was considered the norm. This is where you must make further decisions as to your pacing. Having decided what size the lesson you have to impart is you have to decide how to further break it down to fit the contact time you have with the students. The lessons above can be fairly quickly covered and would fit into the first lesson easily enough, especially as they will be basics that will be continuously re-visited in every class during warm-up and footwork, for example. However a more complex topic, say feints, will take considerable amount of time to cover and it is up to you to break it down so that the students are able to take on the information and embody it while not getting distracted through under-stimulation from material that is not taxing them or frustrated from material that is beyond their ability. Do not be afraid of going slowly however much your students wish to get on to the flashy stuff; if they can’t get the basics done well then they will certainly not have the ability to do the more complex techniques and you’ll just have to waste time going back and doing them all again. Having achieved the basics above in the first lesson it finally comes to teaching some fencing. Taking our lessons in order it can be seen that the Thrust of High Quarte is Girard’s first action. The simplest exercise would be to just do what the text tells us. Go through the actions in turn, checking that the body matches the description, correcting any major faults, addressing any students concerns and so on until the passage is replicated physically. That may seem enough since you are obeying the first rule of historic fencing, that of “Doing what the book says”. It may seem enough to just be able to stand in that shape but is it good enough to defend your life with? This is where the teacher must start to use their creativity and inventiveness to develop the text into exercises that will aid the student to embody the text. This will likely be an exercise in standing at ease and having to rapidly, upon command, drop into the correct stance without hesitating, as one would have to do if in a duel or being assaulted. Once footwork is introduced then it will likely be that the student will be required to adopt and maintain this posture while making use of the various steps Girard describes and so on. This is a fairly basic example, though it is a key skill it is only by repetition that it will be learned, and maintained through frequent practice, so the exercises it yields will be less complex but be assured that they are still sophisticated in their nuances. A more complex passage will naturally yield more exercises of differing level of sophistication and complexity. So the basic exercise would be to mimic this posture, but by breaking it down into simpler pieces rather than trying to do all of it at once. Practice forming the parade of quarte until one can make it every time. The next natural development would be to have a partnered drill where both students begin in the on guard position (having saluted, naturally), one take the role of attacker and the other defender. The attacker thrust of quarte, the defender making the parry and both returning to guard. Once this is at an acceptable level the defender adds the riposte to the exercise. Roles then swap so both can practice the thrust, parry and riposte. This will likely be the sole exercise for a class of beginners, and may even take two or more classes to get right consistently. “Consistently” is the key word at this level of development- work at a rate where every action and aspect of posture is acceptable, emphasising the bits that the student gets right and adjusting the bits they get wrong with sensitivity; remembering that the aim is to seek competence not excellence. Once the students are of sufficient ability to manage this time and time again it is time to create exercises that consider the variables inherent in the text so that they too may be practiced. Examine the passage thoroughly to see what these variables are, remembering that they may be both implicit and explicitly stated so it may take some scrutiny to perceive all of them; it is not uncommon for even the most familiar text to reveal insights years, and many hundreds of hours of analysis and consideration, later leading to new interpretation and practices. The most common variables are: initiative (who starts the action), measure (the relative position of the two students), tempo (the relative timing of the actions involved) and footwork (are they stood still, moving forwards or moving backwards) and combinations (multiple actions or choices). So to add complexity to the above it could be decided that neither is the attacker or defender, thus varying the initiative, and either student can become the attacker with the other having to make the parry as they see fit. If movement were the variable then the attacker gets to lead the movement with the defender having to match their movement yet maintain their own measure, parrying when attacked. If tempo have the defender vary the tempo of their parry or riposte to check that the attacker is not anticipating the action and reacting to the threat at the correct time. The most obvious, and commonly done, exercise variation is that of the combination or compound action, this is where an element of choice is introduced which one of the students must adapt to accordingly and react to correctly (here defined as “hitting and not being hit”). It may be that the defender, given the example above, may not choose to parry every time to check that the attacker is making fully formed, effective thrusts which are on target. As an aside I shall highlight that working with the variables is the easiest way to manage a class of mixed ability. Beginners can concentrate on the simple exercise, intermediate students can begin with the basic lesson and be given a variable to incorporate and advanced students two or more variables to incorporate. I would emphasise that it should be made clear by the teacher which variable is being examined, and why, and that it is made clear what that the student is to do. I would also make it clear that the number of variables being changed is kept to a minimum so that the student has only a few decisions to make in the allotted exercise. Naturally the more variables that are changed the closer the student gets along the path to free-play. An easy way to structure this is to think of a progression from fixed-play to loose-play to free-play. In fixed plays there are no variables, do what you have been told and nothing more or less. In loose-play there are decisions to be made, but they are known choices with pre-decided follow up actions (even if it is as vague as “only riposte in the outside line” or as specific as “always riposte quarte”), the more decisions there are the more the loose-play becomes closer to free-play until the two can be almost indistinguishable. Free-play is an exercise (remember that is it is still a training exercise where you are both helping each other to learn- true competitive fencing where you cease to be partners and become opponents is the “Assault”) where there are all the imposed variables have been removed and it up to the individual to make all their decisions in the moment, thus testing their tactical and practical abilities in as real a situation as is possible. So now, having considered the above stages, go through the treatise of your choice and divide it up into topics. Then tease those strands into lessons. Work out how to teach the lesson by means of exercises, and then work on extending these exercises to explore all the variables. By doing this even the simplest and shortest text suddenly becomes a somewhat arduous task of analysis and appraisal but it worth it. If you put the effort in to begin with then you create a framework that makes teaching a lot easier in the end as one can simply look at the topic in hand, work out what has and has not been covered then consider what exercises will be taught in the next class. Soon this will become second-nature and you will be able to create exercises off-the-cuff once you know what lesson you wish to impart so that you adapt to the ability of the class, and you will even able to teach a mixed ability class by adding or subtracting variations to a core exercise according to need. All of this will go to giving you not only more time to get on with the business of teaching, rather than being unsure as to what to teach, and lead to far more satisfactory classes for all involved. Editor’s note: Illustrations have been added by the editor. Instructor with Black Boar School of Swordsmanship, Edinburgh, primarily obsessed with French martial arts and culture of the C18th to C20th which he promotes through research, teaching and organising the annual Smallsword Symposium.